Tuff Writer Operator Series. 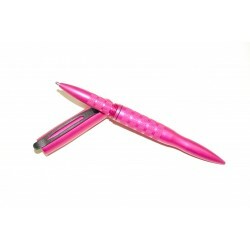 The Tuff Writer pen was designed to be the toughest pen out there, period. Tuff Writer pens are built to withstand blistering cold, intense heat and any kind of harsh environment an operator is bound to encounter. 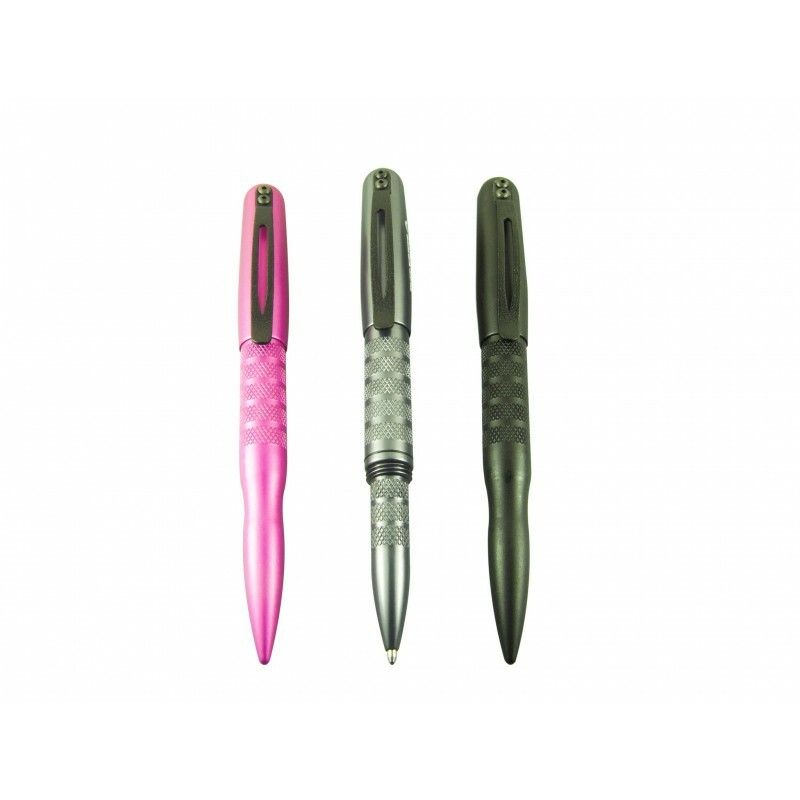 The Tuff-Writer Operator series pen was designed to be the toughest pen out there, period. It is built to withstand blistering cold, intense heat and any kind of harsh environment an operator is bound to encounter. The thixotropic ink in the hermetically sealed cartridge and pressurized to nearly 35 psi lasts three times longer than a standard ballpoint pen. With an estimated shelf life of 100 years, the pen writes at altitudes up to 12,500 feet where most other pens simply won't. Best of all, no matter how harsh the conditions your Tuff- Writer will work with operating temperatures from -30 to 250 degrees Fahrenheit (-35 to 120 degrees Celsius). The smoothly finished point also doubles as a PDA stylus device. The external knurling and slightly upward tipped spring steel clip allow an exceptionally low slip grip while not snagging during deployment or holstering. The Mil- A-8625 “F” anodizing over a non- marking finish provides a rock hard surface finish. Like all other Tuff-Writers this pen is made in the U.S.A.. The best part is that the new size of this pen allows it to fit into virtually any shirt pocket. A little shorter, a a bit thicker, little easier to carry discreetly and yet tougher than its longer brother. The new design has been beefed up and strengthened with increased wall thickness made to withstand nearly 750 PSI before deforming. 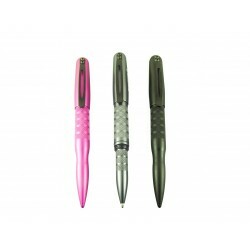 The cap now also has a synthetic insert to allow it to positively post on the back of the pen while writing while the new powder coated clip is even tougher than before ensuring that your pen stays right where you clip it for when you need it.